Wine Save The Date. 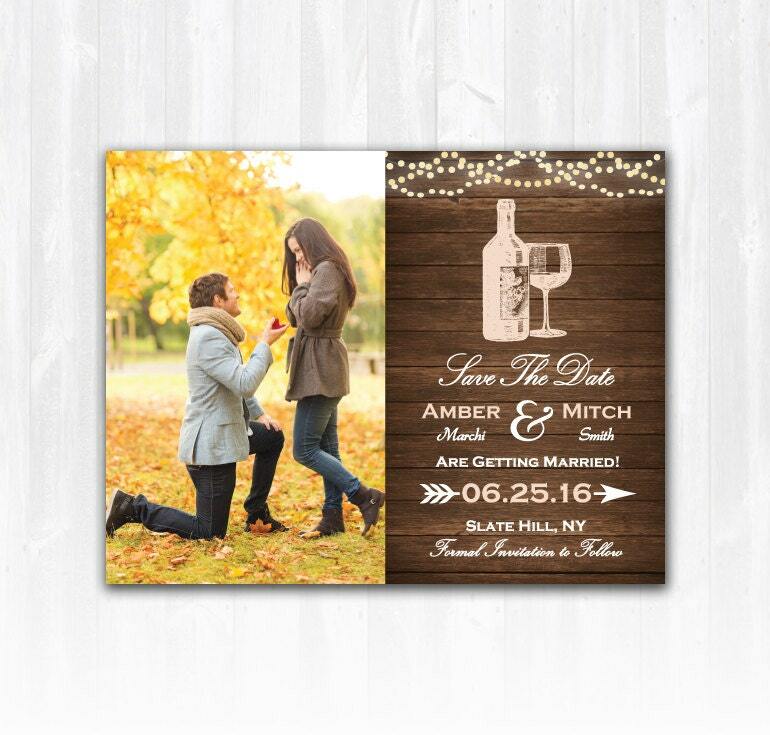 This Rustic Wine Save The Date will be personalized with your choice of wording and your favorite photo! This listing is for either Save The Date Magnets, Card Stock or a print ready DIGITAL FILE of this Winery Save The Date with String Lights. The PRINTED PRICE includes Shipping & Custom Design Fee, no additional costs! You have 4 Options in the Drop Down Menu. The Printed Save The Dates are available in many other quantities and size options. All of my Stationery is PROFESSIONALLY printed on a State of the Art HP Press and INCLUDES high quality square flap ENVELOPES. >>>4. PRINTED SAMPLE SET: This choice is for a sample set of our Card Stock, Magnet and Envelopes. The samples MAY NOT contain this particular Design but will show you the high quality of the Card Stock, Magnet and Envelopes. We loved our Save the Date! The quality is beautiful and we've gotten many compliments. Would definitely recommend! Love Love Love!! Responded so quickly to my questions and comments. Was able to personalize it to make the colors work with our scheme and have it match the invitation I am planning on purchasing in the future! So fast and timely! !